Home > Investing > Want to free up more money to Invest? Here are 7 Things You Can Do? 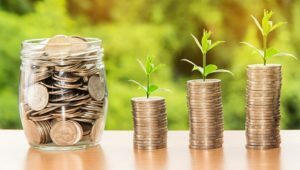 One of the surest ways to achieving your financial aims and objectives is to invest as much money as you can into productive investment vehicles like your retirement fund and other savings vehicles. However, it can seem a herculean task to find enough money to put away. Are your struggling to come up with funds for investment? This piece looks at some ways to squirrel away money that you probably haven’t explored. There is a growing group of people in the UK who take advantage of coupons in their shopping. Perhaps the most publicised example in recent times is the case of Holly Smith who was able to pay for £1,200 worth of items in a shop by using coupons. You may not be an extreme couponer like Holly Smith but if you are able to save £400 a month through coupons, that’s an extra £5000 for your investments. The sharing economy is alive and growing. You may not feel like renting out your room on Airbnb and may be too busy to work as an Uber driver but you can still take advantage of the sharing economy. You can share storage space or meet other people who would like to share the costs of travel. If you are currently paying for an office space alone, you can find someone else willing to share and keep the extra money away. If you think you are paying too much, then consider going with new suppliers. On average, you can save up to £200 a month by just switching your energy suppliers. You could be paying more interest than you should on your debt. Reassess everything and pay off what you can completely right away to save money on the interests. If you can’t pay off all the debt, especially on your credit card, you can consider moving to a balance transfer card if the balance transfer fees make sense. eBay allows you to list 20 items for free every month. Take advantage of this and sell any old or unwanted items. Use PayPal to receive money to ensure you are protected. You can also consider selling on classified ad sites. With this option, you can declutter your space and STILL make money that can go to increasing your investment pots. Are you thinking of buying a new dining set or a new TV? Someone nearby could be thinking about downsizing or upgrading and therefore looking to ship out theirs, in perfect condition. Freegle and Freecycle are perfect places to look. There are many supermarket comparison options to use before you go shopping. On the surface, saving £2 on a bottle of smoothie might not look like a good reason to go through the stress of comparisons but if you buy grocery items in bulk, then you could save up to £200 every shopping day. By implementing these tips, you could unlock more money for your investments.